Sundays are usually big indulgence days of good home-cooked food. It’s where we have the time to actually put just a bit more effort in making really special dishes. And Mondays are usually a good day to still enjoy that sweet Sunday goodness with left overs. We’re jazzing up those Sunday left-over veggies into a simple, filling meal to enjoy on your meatless Monday. This idea is mostly here to inspire you. The possibilities are endless of what you can make up. All you really need is left-over vegetables- roasted, sauteed , grilled, whatever. A few eggs, lettuce and whatever else you like to throw on there. It’s sometimes the simplest things that make the most delicious dishes. 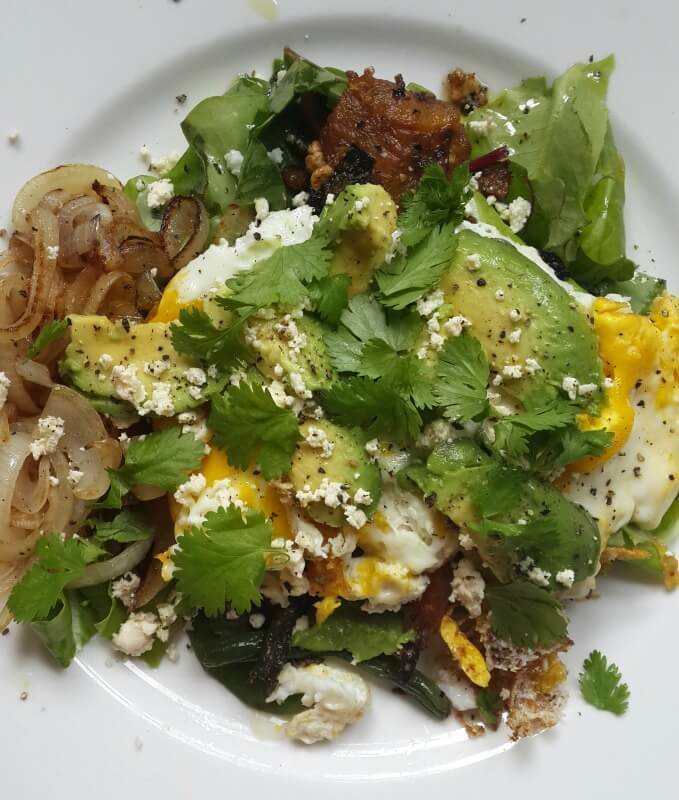 poached or fried eggs served on left-over roasted vegetables on a bed of lettuce garnish with avo, feta, salt, pepper. could also be served over left-over rice, quinoa, barley, buckwheat, or whatever grain you made the night before. fresh herbs and cherry tomatoes are also great garnishes.